The first of two Minnesota Junior Hockey League showcases is set to begin this week, and it will represent the expansion of a 16-team league in a scouting forum unlike any of its kind. In all, eight games will be held daily at the RecPlex in Prairie Center, Wis, and they will feature each of the 16 MnJHL clubs in a setting that will be a first for the newly expanded grouping. The Great Lakes Division was added under the MnJHL umbrella this past off-season, doubling the size of the league and setting up what should be the first of two thrilling showcases this hockey season. Beginning at 8 a.m. Thursday, Oct. 4, all 16 will begin a four-day showcase that will highlight both the continued development of the players on the team rosters, and the overall commitment of the MnJHL to its players. This weekend’s showcase should strengthen that affirmation, as the league opens its doors to scouts from across the continent for an all-access look into the MnJHL. 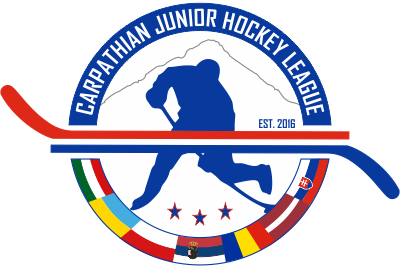 The set of games will also offer a glimpse of the early-season progress the teams and players have made on the ice, and if the first month of play is any indication, plenty of parity should be on display. All 16 teams have already won at least a game in their respective divisions, and nine of them have compiled at least a .500 record thus far. In the Minnesota Division, defending regular season and playoff champion Twin Cities is off to a solid start after 7-0-1 September that currently gives the Northern Lights a five-point edge on the rest of the division. The second-year Dells Ducks have won five of their first nine games to grab second place, and the upstart Maple Grove Energy currently reside in third. The Wisconsin Rampage have grabbed hold of the early lead in the Great Lakes Division with a 7-1-1 start. The Tri-City Ice Hawks have won six of nine to start the year, and the Illiana Blackbirds have managed a 3-1-2 start to claim third place. The intrigue this week and weekend centers on the fact that each of the 24 contests will be crossover games between the two divisions. The Great Lakes Division Showcase will take place Oct. 4-7. Each of the games will take place at the Pleasant Prairie RecPlex. For a complete schedule, see below, or visit us online at mnjhl.com. A second MnJHL Showcase will be contested in December at the Rochester Recreation Center in Rochester, Minn., home of the Minnesota Division Rochester Ice Hawks. Look for more information on the Minnesota Division Showcase in the coming weeks. Dells Ducks: After a hectic nine-game start to their season, the Ducks were idle last weekend. The team returns to action this week with four games in the MnJHL’s Great Lakes Division Showcase. Edina Lakers: Edina enjoyed a four-point weekend after taking games from Rochester and then Steele County. Andrew Bergquist (Bountiful, Utah) and Nicholas Harriman (Harrisville, R.I.) each scored third period goals to force overtime in what was an eventual 6-5 shootout victory over the Ice Hawks Sept. 28. Seman Ivanov (Moscow, Russia) had two assists in that game, and then added a pair of goals in the Lakers’ 9-5 victory over the Blades Sept. 29. Both Bergquist and Ryan Sete (Jackson, Miss.) had four assists in the win. Hudson Crusaders: Hudson dropped each of its two games this past weekend, but goaltender Garrett Patrick (Hudson, Wis.) managed to stop over 60 pucks. Patrick made 30 saves on 34 shots in a loss to Twin Cities Sept. 28, then made 31 more saves in the Crusaders home loss to Maple Grove Sept. 29. Maple Grove Energy: Maple Grove maintained its stance in the top half of the Minnesota Division standings with another split this past weekend. Vladyslav Makorevych (Kyiv, Ukraine) had a goal and an assist, and Brian Levorson (Forest Lake, Minn.) made 27 saves in a 4-0 shutout at Hudson Sept. 29. Makorevych added two more goals and another assist in the Energy’s 4-3 loss at Twin Cities Sept. 30. Minnesota Owls: The Owls were off last weekend. Minnesota will return to the ice with four games in the MnJHL’s Great Lakes Division Showcase Oct. 4-7 at the RecPlex in Prairie Center, Wis.
Rochester Ice Hawks: The Ice Hawks rebounded from a shootout loss in Edina Sept. 28 to post the most impressive victory of their young season the following night. Jake Zarzycki (Clinton Township, Mich.) scored 36 seconds into overtime, and Derek Moser (Tomah, Wis.) made 30 saves as Rochester handed Twin Cities its first defeat of the season with 2-1 victory Sept. 29. Brent Kallio (Escanaba, Mich.) also scored for the Ice Hawks in the win. Steele County Blades: The Steele County Blades played just once this past weekend, losing 9-5 at Edina Sept. 29. Cam Watt (Orillia, Ontario) had two goals and an assist, and Jimmy Philbin (Glenview, Ill.) added a goal and an assist in the loss. Twin Cities Northern Lights: The Northern Lights lost for the first time this season last weekend, but it came sandwiched in between two more Twin Cities victories. Zak Hayes (Canyon Lake, Calif.) scored twice and Nate Gay (Bowling Green, Ohio) made 16 saves in an 8-0 victory at Hudson Sept. 28. Hayes added two more assists and Nick Kunes (Melrose, Wis.) finished with a goal and an assist in a 4-3 home victory over Maple Grove Sept. 30. Dells Ducks vs. Wisconsin Rampage, 8 a.m. Steele County Blades vs. Chicago Bulldogs, 9:45 a.m. Hudson Crusaders vs. Central Wisconsin Saints, 10:45 a.m. Rochester Ice Hawks vs. Illiana Blackbirds, 12:30 p.m. Twin Cities Northern Lights vs. Fort Wayne Federals, 1:30 p.m. Edina Lakers vs. Tri City Ice Hawks, 3:15 p.m. 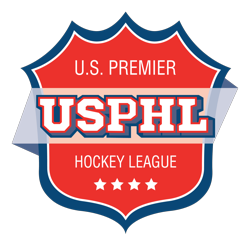 Maple Grove Energy vs. St. Louis Frontenacs, 4:15 p.m. Minnesota Owls vs. Wooster Oilers, 6 p.m.
Edina Lakers vs. Wooster Oilers, 8:30 a.m. St. Louis Frontenacs vs. Twin Cities Northern Lights, 9 a.m. Minnesota Owls vs. Chicago Bulldogs, 10:30 a.m. Rochester Ice Hawks vs. Tri City Ice Hawks, noon Steele County Blades vs. Illiana Blakbirds, 2:30 p.m. Hudson Crusaders vs. Fort Wayne Federals, 3 p.m. Maple Grove Energy vs. Wisconsin Rampage, 7:30 p.m. Dells Ducks vs. Central Wisconsin Saints, 8 p.m.
Rochester Ice Hawks vs. Fort Wayne Federals, 8 a.m. Maple Grove Energy vs. Wooster Oilers, 11 a.m. Steele County Blades vs. Central Wisconsin Saints, 1 p.m. Hudson Crusaders vs. Illiana Blackbirds, 2 p.m. Edina Lakers vs. St. Louis Frontenacs, 4 p.m. Dells Ducks vs. Chicago Bulldogs, 5 p.m. Twin Cities Northern Lights vs. Tri City Ice Hawks, 7 p.m. Minnesota Owls vs. Wisconsin Rampage, 8 p.m.
Edina Lakers vs. Fort Wayne Federals, 7 a.m. Maple Grove Energy vs. Tri City Ice Hawks, 7:15 a.m. Minnesota Owls vs. St. Louis Frontenacs, 9:45 a.m. Dells Ducks vs. Wooster Oilers, 10 a.m. Twin Cities Northern Lights vs. Illiana Blackbirds, 12:30 p.m. Rochester Ice Hawks vs. Central Wisconsin Saints, 12:45 p.m. Hudson Crusaders vs. Chicago Bulldogs, 3:15 p.m. Steele County Blades vs. Wisconsin Rampage, 3:15 p.m.